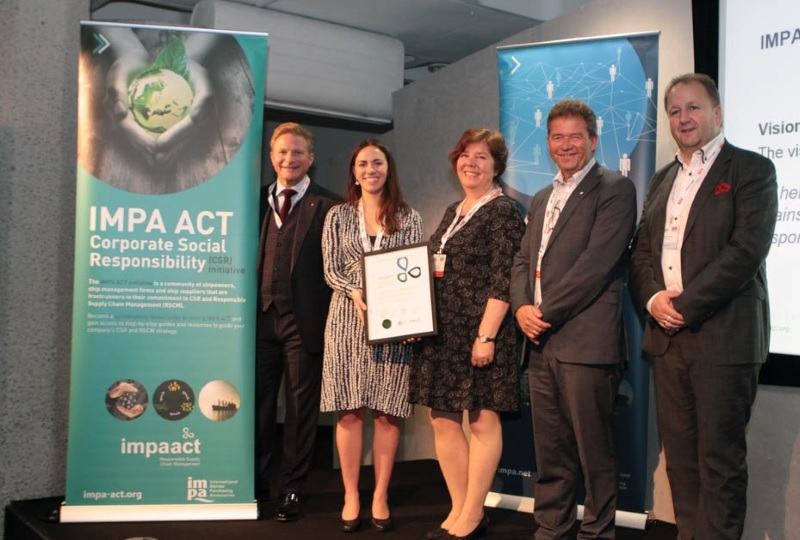 The Norwegian buying group with over 40 member companies, has signed on to IMPA ACT in an effort to help the shipping industry move towards compliance with internationally-endorsed standards of RSCM and CSR. Norwegian Shipping Association Incentra has joined IMPA ACT and will be encouraging all its suppliers to adopt the IMPA ACT Supplier Code of Conduct as a matter of priority. Incentra, made of 40 member companies (including ship and rig owners, and managers with operations and procurement activities managed and run from Norway), works to establish and manage long-term framework agreements with suppliers for spares, service and consumables used in the global operation of members’ marine vessels. The announcement was made during this year's IMPA London. "We are very happy to have signed up today. It has been a fairly long process. We have been working for more than five years and our members have done extensive work. This is a natural extension of the activities we do on behalf of our members and their suppliers. CSR is the next step to take. Why IMPA ACT? The international standard idea is important to us and we are a small organisation, so we need to join and work together. We are now ready to embark on our journey." The Association will now work with IMPA ACT and its member companies to become sustainability frontrunners and work towards compliance with internationally-endorsed standards.